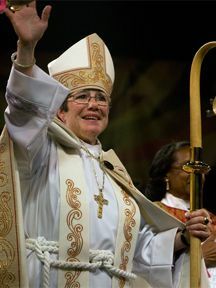 Join us for Bishop Diane's visit to our parish on Sunday November 19th. She will be preaching and presiding at both services. And at the 10:30 service she will confirm, receive and reaffirm the faith of a number of our beloved parishioners. If you are interested in being confirmed or received in the Episcopal church, or interested in reaffirming your faith, email Rev. Nate ASAP if you have not already spoken with him. Bishop Diane will also being holding a Meet the Bishop forum in-between services. She will talk with us about the role of bishops, give us an update on the Diocese and answer any questions. Bring your curiosity, questions and warmest St. A's welcome!